Efficient. Effective. Practical. Make no mistake, there is a strong conservative case to be made for single payer. 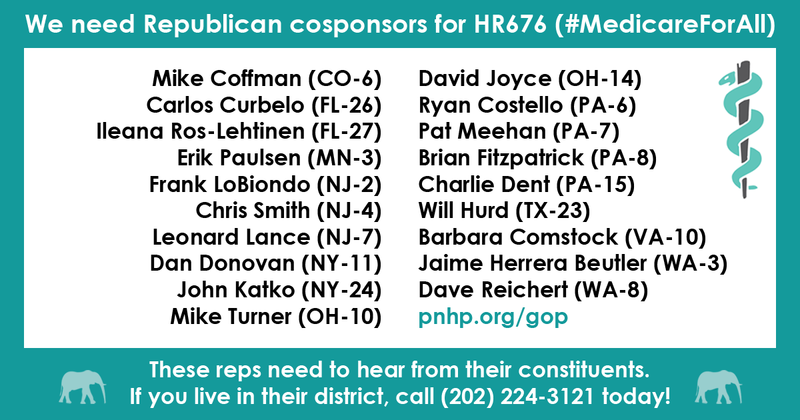 This is important because, as our health care crisis deepens, we need to make sure we’re speaking to all Americans. Only then can we can build a broad-based movement that pressures Congress to do the right thing. Many single-payer advocates argue that “health care is a human right,” but conservatives may be more persuaded by appealing to the values of loyalty, sanctity, and authority. Dr. Ed Weisbart gave an excellent talk recently, titled Progressive Persuasions: Speaking Beyond the Choir, that explores this topic in detail (see video below). Myth: Single payer is socialized medicine! Reality: Medicare-for-all applies the principles of the free market to the delivery of health care. Under traditional Medicare, doctors and hospitals compete to attract patients through service, quality, and access – rather than competing to be in the best-reimbursed insurance plans. Medicare-for-all would open up this patient-centered free market to all Americans. 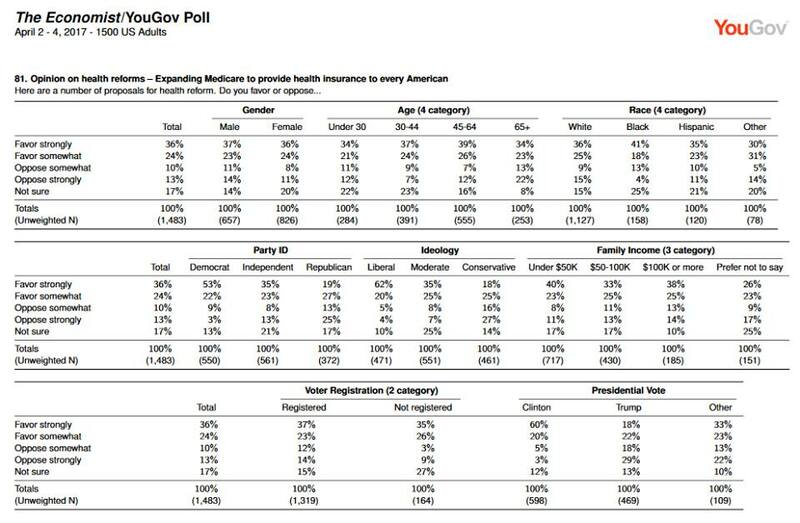 Myth: Single payer would lead to rationing! Reality: Today’s private health insurance is incredibly restrictive, with narrow provider networks, cost-sharing, and a growing list of treatments that simply aren’t covered. Private insurance comapnies have a financial incentive to deny care, and they often do. Medicare-for-all would make it much easier for patients to access medically necessary care. Myth: Single payer would stifle innovation! Reality: Americans are justifiably proud of our nation’s leadership in medical innovation, but may not realize that most of those innovations are paid for using public funds. As pharmaceutical companies engage in trivial research designed to extend patents, our National Institutes of Health funds truly pioneering work. Medicare-for-all would strengthen the alignment of research with our most pressing health needs. • The 2002 Health Affairs study Phantoms in the Snow found that an exceedingly small number of Canadians seek care in the U.S.
• Waiting lists in Canada can be primarly attributed to lower health spending. Despite this, Canadians do not have to wait to be treated for life-threatening diseases and report fewer unmet health needs overall (see this NBER paper, Table 12). • Former Canadian Medical Association Journal editor-in-chief and one-time market proponent David Woods says single payer is essential to controlling costs. • George Mason University law professor Frank Buckley believes Republicans should embrace single payer, and points to the benefits of Medicare in his native Canada. • Bottom line? 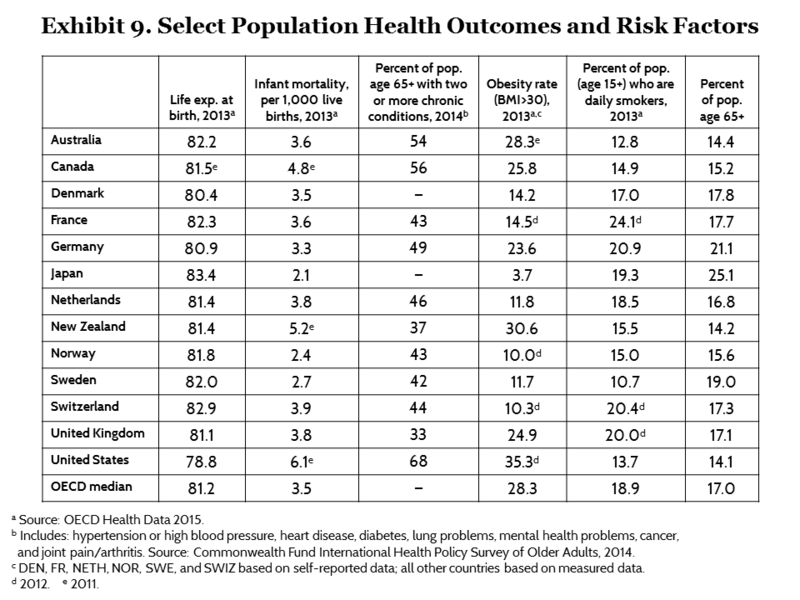 Canadian health outcomes are better than American health outcomes, including longer life expectancy and fewer chronic conditions. These gaps have been growing ever since Canada fully implemented its Medicare program in the early 1970s. Your conservative representative may agree with you that single payer would provide high-quality care, but they may also also argue that the private sector is more efficient than the federal government, and therefore a better steward of our health care dollars. However, it is our current, market-oriented system that generates the greatest amount of waste and profiteering. Conservatives who hate bureaucracy should be champing at the bit to do away with private insurance company overhead. 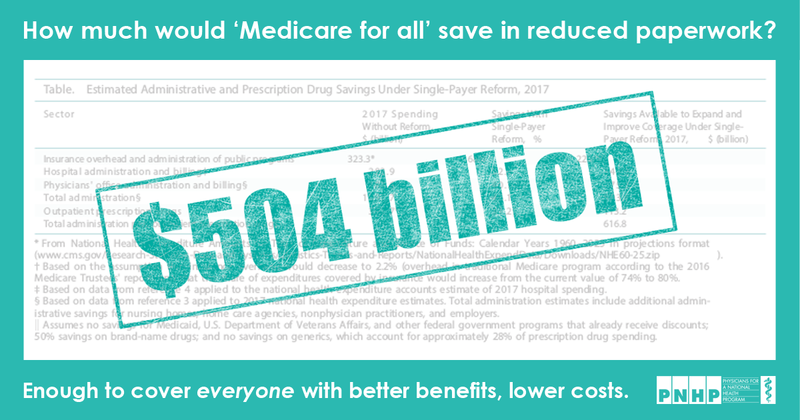 A February 2017 estimate published in the Annals of Internal Medicine found that single payer would generate $504 billion in administrative savings annually. • PNHP co-founders, Drs. David Himmelstein and Steffie Woolhandler, argue that single payer would allow for Liberal Benefits, Conservative Spending. Conservative members of Congress often voice concern over the global competitiveness of American business, and rising health care costs are harmful in that regard. Under single payer, U.S. firms might contribute as much to health care as they do now via a payroll tax, but they would no longer need to shop for group policies. They would also be spared the outrageous annual cost increases that have become commonplace in the large- and small-group markets. For workers, single payer would allow those who are not a good fit for their jobs to seek more productive employment elsewhere instead of staying put in order to preserve health benefits. And would-be entrepreneurs would no longer fear striking out on their own due to a lack of health insurance. • MCS Industries founder and owner Richard Master has produced a documentary, FIX IT: Health Care at the Tipping Point, that lays out the business case for single payer. • Berkshire Hathaway vice-chairman (and longstanding Republican) Charlie Munger says single payer is the solution to America’s health care woes. • Marks Group owner and prominent blogger Gene Marks considers himself a “smaller government, fiscally right-of-center guy,” but has concluded that single payer would be best for business. Single-payer reform is vitally important, and progressives can’t go it alone. Talk to your conservative friends, colleagues, family members, and elected officials. Listen to their concerns. Let them know that a humane, efficient, high-quality health care system is possible, but only if we work together.